many nursing home residents suffer urinary tract infections (UTIs) due to neglect or mistreatment by incompetent staff members Many elders are highly susceptible to UTIs due to their compromised immune systems. As a result, doctors often prescribe a catheter to assist them in urinating. Unfortunately, the Monticello elder abuse attorneys at Rosenfeld Injury Lawyers LLC have represented many nursing home victims who have suffered urinary tract infections due to poor hygiene, insufficient care, and unsanitary conditions. The government-owned facility provides services which include around the clock skilled nursing care for both long term and short term patients, assisted living, Alzheimer’s and dementia care, wound care, and respite care. The home offers physical, occupational and speech therapies along with in-house lab and in-house x-ray services. On an annual basis, state and federal government agencies routinely update their nursing home databases in an effort to provide families a comparative tool when placing a loved one in a nursing home. The updated information is posted on numerous websites including Medicare.gov. In a summary statement of deficiencies dated 04/02/2015, a notation was made by a state investigator during an annual licensure and certification survey concerning the facility's failure to "prevent cross-contamination by failing to keep the urinary drainage bag below the level of the bladder and off the floor.” The deficient practice by the nursing staff at Piatt County Nursing Home affected two residents at the facility reviewed for indwelling urinary catheter care. The state investigator noted that the resident’s 11/04/2014 Care Plan documents that the resident “has an indwelling catheter [as provided by a physician’s orders and that their March 15,2015 Specimen Report revealed that the resident’s] urine culture greater than 100,000 colonies of Staphylococcus aureus. If you suspect your loved one is suffered life-threatening urinary tract infection while residing at any Illinois nursing facility including Piatt County nursing home, Rosenfeld Injury Lawyers LLC can provide immediate legal intervention. Our team of dedicated Monticello elder abuse attorneys works tirelessly on every personal injury case by investigating the claim, reviewing medical records, consulting with experts, speaking with nursing home staff members and filing lawsuits when necessary. 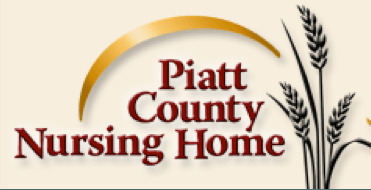 We encourage you to contact our Piatt County nursing home neglect law firm at (888) 424-5757 to schedule a free, no-obligation consultation. Through contingency fee arrangements, we provide immediate legal representation without the need of any upfront payment.